Make your holidays SPARKLING - Cherry Colors - Cosmetics Heaven! 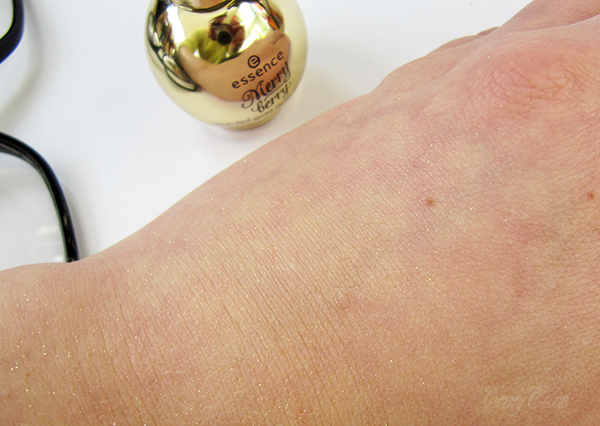 I got this small beauty with an order I made from the Slovenian distributor of the Essence and Catrice brand. I ordered the advent calendar and two lip polishes and they kindly included some freebies. This was one of them. 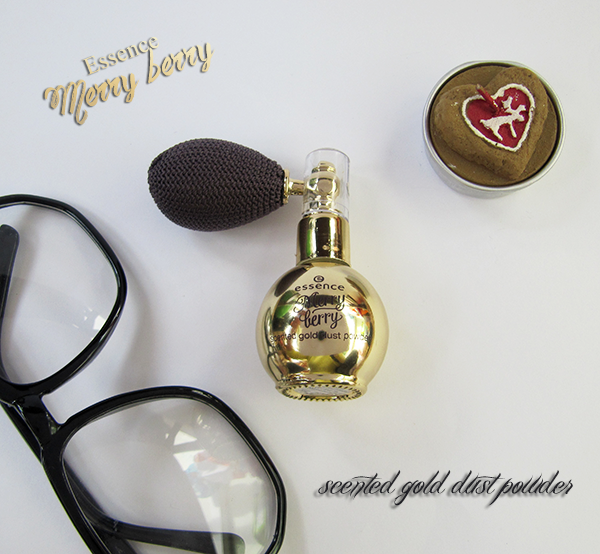 It's the Essence scented gold dust powder from the Merry Berry TE (which is still in stores, if you're lucky to find it). It comes in a golden shade named I love my golden pumps. body dust. the powder conjures up a delicate, lightly scented golden shimmer on the face and neckline for gorgeous, radiant accents. 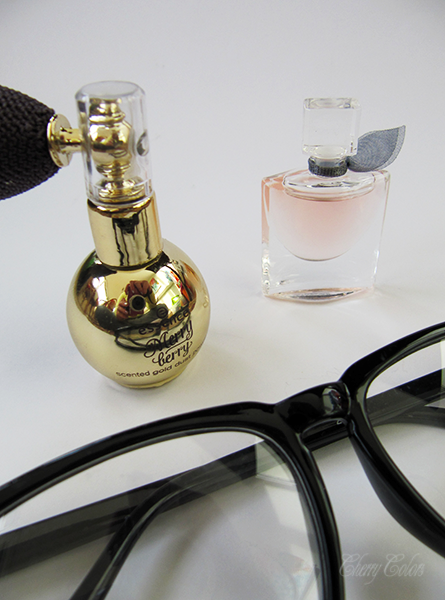 the round, golden bottle with a balloon-atomizer pump is sure to be a true eye-catcher on the bathroom shelf. I have a similar product by Catrice, which was available about a year ago (Catrice ViennaArt). I haven't used it up yet because there's a lot of product in there. It just recently started to go bad (scent changed slightly), so I think that it will be the same with this body powder - it will go bad in a year. This powder has a pleasant sweet scent (think vanilla) and I can see myself using it regularly for whenever I'll want to sparkle a bit. I think it will also be great for hair (to make it sparkle temporary). Do you have anything from the Berry Merry TE?